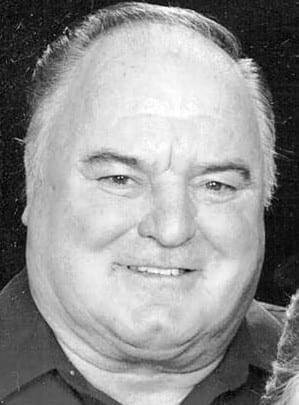 Kenneth Mack, 69, devoted husband, father, grandfather, and BBQ extraordinaire, of Berkey, Ohio, entered into eternal life Monday, March 18, 2019, in his home surrounded by his loving family. He was born Feb. 24, 1950, in Toledo to the late Francis and Alice (Herr) Mack. On Sept. 24, 1971, he married Diana Ott, his loving wife of 47 years, and she survives. Ken was a 1969 graduate of Evergreen High School, and enlisted in the Army Reserves. He worked as a general laborer and cement mason for over 42 years. He was a member of Local Union 886, a lifelong member of Holy Trinity Catholic Parish, and a former Village of Berkey councilman. Ken enjoyed the outdoors, fishing, and hunting, and was an avid Ohio State Buckeyes fan. Most of all, Ken was a family man. He supported his kids growing up in their sporting events, and will be remembered for his delicious BBQ chicken and homemade lemonade he would make especially for his children and grandchildren. Ken will also be greatly missed by his children, David (Roberta) Mack, Lori (Shane) Hein, Tracy (Denny) Hoffman, Christina (Craig) Kretz, and Bradley (Stacey) Mack; 11 grandchildren, Noah, Anna, Joshua, Livia, Kaylee, Emma, Madison, Tyler, Easton, Mackenzie; and Gavin; his siblings, Betty (Norb) Miller, Caroline (Ron) Stezinski, Bill (Kathy) Mack, Larry (Alice) Mack, Linda (Ralph) Keefe, Joyce (Stan) Karpinski, and Fred (Pam) Mack; brothers-in-law and sisters-in-law, Carol Ott, Darrel (Carol) Ott, Tom Ott, and Joe Ott; and a whole slew of nieces and nephews. He was also preceded in death by his brother, Don; three nephews and his father-in-law and mother-in-law, Frank and Lucille Ott; and his brother-in-law, Jim Cady. A Mass of Resurrection will be held noon Saturday, March 23, 2019, at Holy Trinity Catholic Church in Assumption, with Fr. Michael Dandurand officiating. Interment with military rites will follow at St. Elizabeth Cemetery. Family and friends may visit 2-8 p.m. Friday, March 22, 2019, at Weigel Funeral Home in Swanton, where a vigil service will be held at 7:30 p.m. Visitation will continue Saturday at the church an hour prior to the services. Memorial contributions may be made to the Holy Trinity Capital Building Campaign Fund or Heartland Hospice. Online expressions of sympathy may be made at www.weigelfuneralhomes.com. Be the first to comment on "Kenneth Mack (1950-2019)"